What is the same, what is different, and how do we find out? 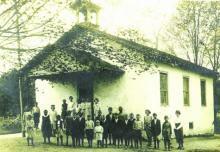 Name four differences between their schoolroom today and the Locust Grove Schoolhouse. Name four similarities between their schoolroom and the Locust Grove Schoolhouse. This morning the Locust Grove School House in Pocopson township was reopened with a new teacher after being closed for several weeks for want of an instructor. 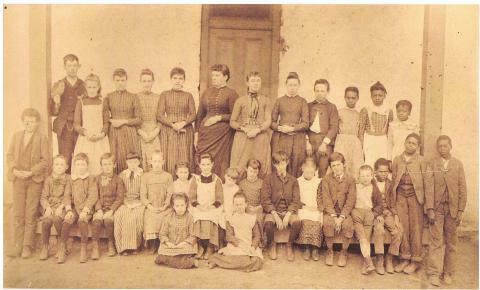 This school was the one taught by Miss Helen Harvey, of this place, who was roughly treated and cut by some of the pupils. Director Caldwell, who was in town Saturday, says that the new teacher ought to be able to handle the school, as is his name is Sampson, and he is a tall sturdy man of some experience. 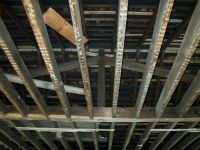 Initial construction details for the Locust Grove Schoolhouse are unclear. 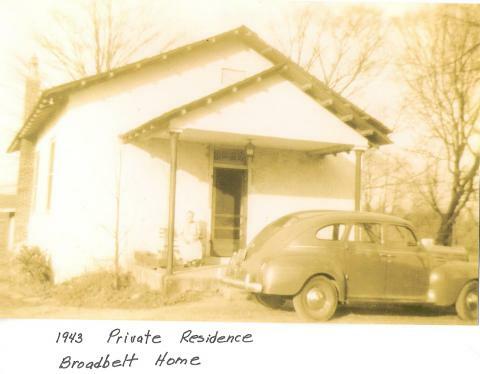 It is known that at the time of the formation of Pocopson Township, at least one masonry schoolhouse, newly built by Pennsbury Township in 1848, at an expense of $400.00, transferred ownership to the newly formed township. Further investigation is necessary to determine whether this “new” Pennsbury Schoolhouse was indeed the Locust Grove Schoolhouse. The Locust Grove Schoolhouse is a typical example of a rural southeastern nineteenth-century Pennsylvania schoolhouse. 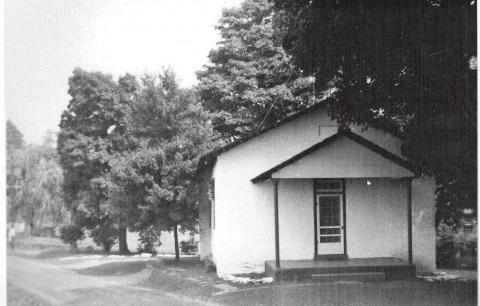 A date stone above the Locust Grove Schoolhouse portico reads 1870; this date refers to the rebuilding of a preexisting schoolhouse, which expanded the original foundation and extended the front façade, adding two cloakrooms, a belfry, and portico entry to the prior design.